We haven't had a display review since our desperately seeking quality LCDs article. That doesn't mean there haven't been interesting displays released during that timeframe, but the trends highlighted in that last article have continued. TN panels are everywhere and are by far the cheapest option, although they do have a bit of competition from E-IPS displays. 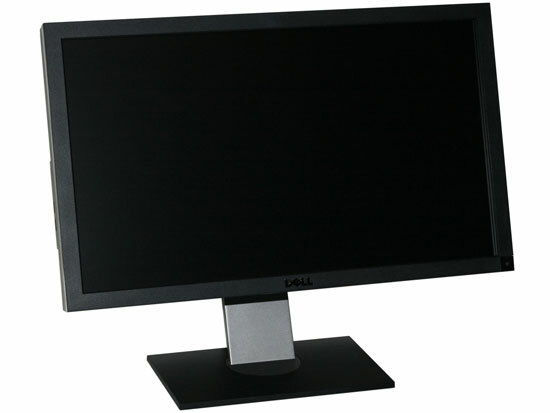 For example, we have 1080p 23" TN LCDs starting at under $200, compared with 1080p 23" E-IPS LCDs for $300. However, E-IPS isn't the highest quality implementation of IPS (in-plane switching) LCD technology; what if you want to go for the real deal? Despite the preponderance of TN panels, it's still possible to find some good quality IPS displays. The catch is that you need to be prepared to spend two or three times as much money (or more!) to get that quality. Most consumers will look at the 24" TN panels starting at $200 and then they'll look at an IPS or PVA display costing $550 or more and they'll wonder why anyone would spend the extra money. The answer, quite simply, is quality. Dell offers U-series UltraSharp displays that look to satisfy professional users without quite getting into the professional display price range, and they'll provide substantially better quality than any entry-level display. That brings us to today's review. Weight w/ Stand 23.06 lbs. The latest offering in the U-series is the U2711, a 27" beauty sporting extremely impressive features. For starters, it has an IPS panel, but this isn't your granddad's IPS panel. The U2711 has an extremely high resolution 2560x1440 panel - similar to the panel that's used in the Apple 27" iMac. Notice that we highlighted the word similar? That's because the two panels aren't identical; the glass might be the same, but there are definitely differences. Since this is a display rather than an all-in-one computer, there are plenty of other differences between the Apple and Dell LCDs. Dell includes just about every input you might want on the back of the LCD - DisplayPort, HDMI, two dual-link DVI connections (all with HDCP support, naturally); and just for good measure they toss in VGA, component, and composite video connections as well - not that we would recommend using those if you can avoid it, though the VGA connection is always good to have "just in case". Like most UltraSharp displays, you also get a couple USB ports on the back, two more on the side, and a handy flash memory reader. Besides having a higher color gamut and different backlighting technology, Dell uses 12-bit internal color processing with the ability to output 10-bit color. That means you can get 1024 levels of grey instead of just 256, reducing the amount of banding present in certain situations. 24-bit vs. 30-bit color also means you get a color palette of 1.07 billion instead of 16.7 million, though we were unable confirm this in testing. First, you need to have a graphics card with the ability to output 30-bit color, which typically means you need a workstation class GPU. You also need some sort of "special sauce" - specifically, you need an application that knows about deep color support. We connected the U2711 to a Dell Precision M6500 notebook (Quadro FX 3800M GPU) via DisplayPort. NVIDIA tells us that the GPU is aware of the deep color capability of the display at that point, but it requires an appropriate application before 30-bit color output would start. Despite our inability to test this feature, considering the cost of other 30-bit displays (often they are priced upwards of $1800), the U2711 becomes a very interesting option for users that need (and know how to use) "deep color" support. So what's not to like? As with so many other things in life, all of these lovely features don't come free. The U2711 has an MSRP of $1050, so it costs quite a bit more than lesser 27" displays. Then again, it has a higher resolution, better features, and it's still $200 cheaper than most 30" LCDs. Overall, the U2711 makes a very good impression if you're after a high quality LCD; it's just not intended for users that are merely looking for a decent display at an affordable price. If you're a discerning image professional or just someone fed up with lackluster consumer LCDs, read on to find out if the U2711 is the right display for you. "While we know some of you would like us to compare performance to a CRT, few users have CRTs these days and all we're really interested in measuring is the relative lag." That is an incredibly weak argument for not getting proper numbers. I don't get it - why don't you care? 1) I don't have a CRT. 2) I have limited space. 3) I don't want to have a CRT - I ditched all of the ones I had about four years ago. 4) I would need a CRT that can support resolutions up to 2560x1600 -- none I'm aware of handle more than 2048x1536. 5) CRTs are terrible at getting correct geometry. Pincushion and trapezoidal distortion are all too common, even after lots of time spent fiddling to try to get it "just right"... and if you change resolution or refresh rate, you have to do it all over. 6) If CRTs are faster, add 20ms or 40ms or whatever to my numbers. Lag between user and display comes from mouse, GPU, CPU, and LCD, really - up to around 200ms in some tests. You'll never eliminate all of it, and even CRTs have some "lag". This is not some sort of personal attack on you by the way. As far as input lag and the HP LP3065, if you trust another source you can find an LCD where we overlap, look at their result and look at my result, and then add the difference. But then, I'm not sure what other source I would trust, because I have seen sites report some of the LCDs I have as a "0" as anything from 0 to 20ms. None of them go into detail as to how they're testing (i.e. what stopwatch program they use, and how many pictures they take and average). "I noticed no input lag at all with this thing. I took around 20 pics comparing input lag with a CRT -monitor and the worst lag I got was 24 ms, and the best was 0 ms."
So my choice of reference LCD has at most 24ms of lag compared to a CRT, and as little as 0ms, or perhaps an average of around ~12ms. But then, all CRTs aren't created equal, so what CRT do you use as a reference point? I've seen other LCD vs. CRT tests where they post images of an 2405FPW and it gets an average of 35ms versus a CRT (http://www.hardforum.com/showthread.php?t=1047842&...">http://www.hardforum.com/showthread.php?t=1047842&..., which would mean the LP3065 is somewhere in the vicinity of 10ms average most likely. Ultimately you're stuck trusting some source for your information about input lag. All I can tell you is that I've played a lot of games on the LP3065 and have never, ever noticed any form of lag. I've played games on a 2405FPW and barely noticed lag, and I've played games on the 2408WFP and definitely noticed lag. I could list a dozen more LCDs, and the fact is that not a single one has had less lag than the LP3065 in testing; they have only managed to tie it -- and many of the TN panels I've tested were recorded as "no lag versus CRT" at other sites. If I ever find an LCD that has less lag than the HP LP3065, I'll make sure to mention it, but when I can confidently say that there's no current LCD that does better in that area, why beat a dead horse any more than we already have? Every chart on the internet can be misleading if you don't know what you're looking at, which is why I explain in detail exactly what I'm doing. Plus, not all stopwatch programs are created equal; at best they are accurate to 17ms on an LCD, since it only updates the display 60 times per second. I tried one program and had results that were off by as much as 100ms, where I showed a difference of only 10 to 30ms with 3DMark03 as the time source. So why not accept that the LP3065 is my zero point, and unless and until another LCD can beat it there's not much point in worrying about it. TN panels with "0ms lag" tie the LP3065, so it must therefore also have 0ms lag. If you trust my testing procedures, of course. Yup, just "This is something you deal with by increasing the dpi setting" would be sufficient. I disagree. Just because you have a stellar eyesight, doesn't mean the notice isn't justified, because this IS interesting for a lot of people. If it's so small that I have problems reading text that IS a problem for me and should be at least mentioned in the text. If it's not a problem for you, that's fine, you don't have to agree with the review in every point.